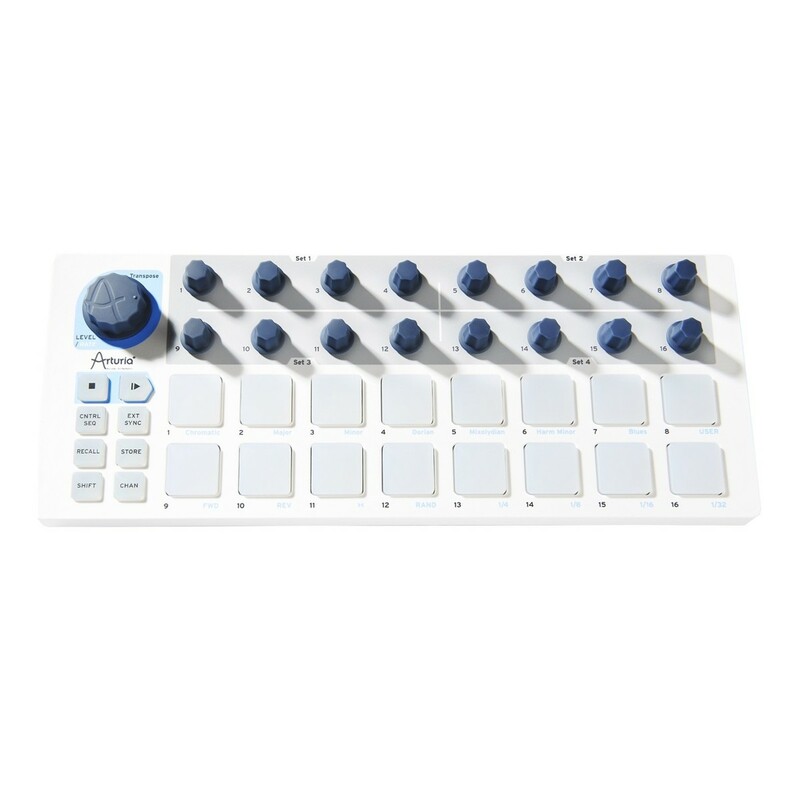 The Arturia BeatStep Sequencer/Controller is a compact, portable pad controller that is ideal for both studio and live performance. The Arturia BeatStep offers a range of functionality, and is capable of triggering clips in Ableton Live, playing drums, and tweaking synth parameters all at the same time. 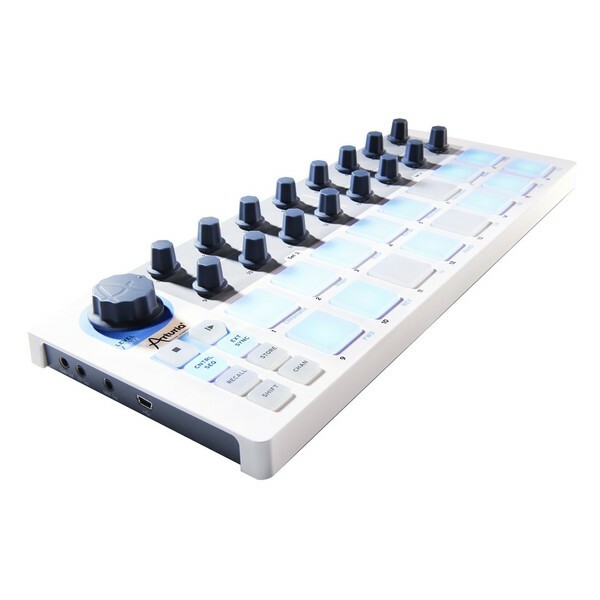 As well as being a 16-pad controller, the BeatStep also works as a 16-step analog sequencer. The 16 encoders can be assigned to adjust various parameters, allowing for further real-time control during performances. Featuring advanced connectivity, the Arturia BeatStep integrates seamlessly with external equipment including a computer, iPad, drum module, or analog synth. It is a versatile and convenient controller/sequencer that is ideal for travelling producers and performers. 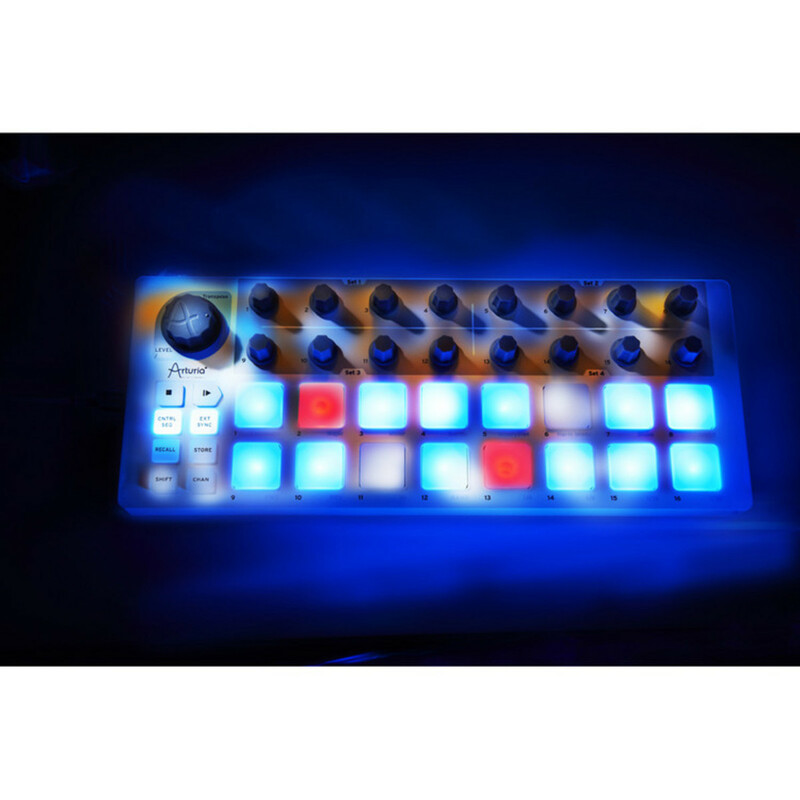 The Arturia BeatStep offers a range of functionality and performance features. The BeatStep features 16 assignable encoders, 16 pads/buttons, and 16 presets, providing you with a flexible pad controller. 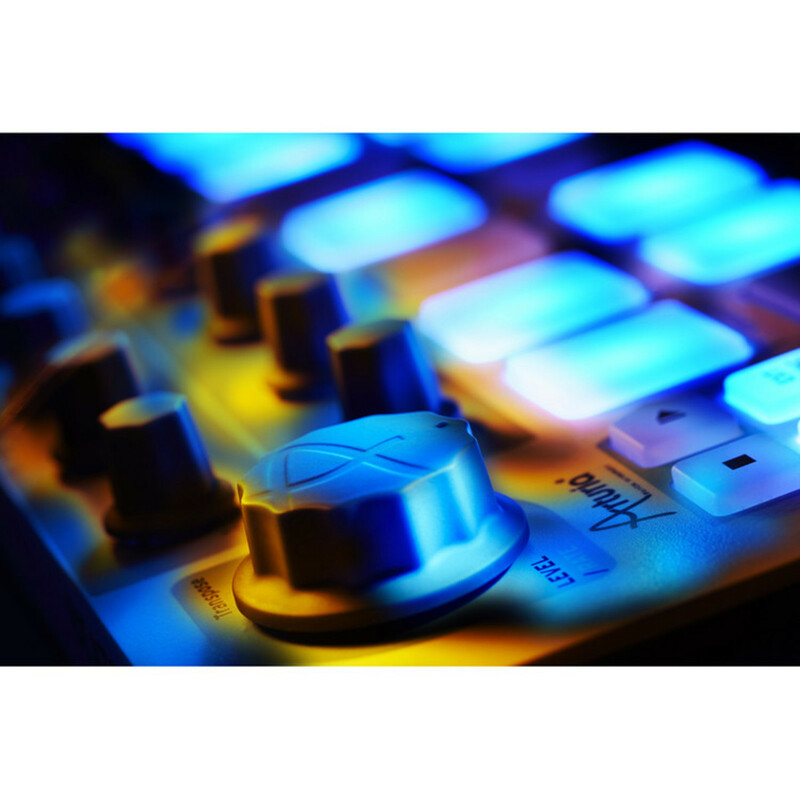 The BeatStep allows you to trigger audio clips using the pads within software environments such as Ableton Live, or play drums with FXpansion BFD and Toontrack EZdrummer. Use the pads to trigger clips, then use the 16 encoders to control parameters and settings, allowing for real-time control. The 16 pads are velocity and pressure-sensitive. They can be used to create dynamic percussion performances, and are conveniently brightly lit, enabling you to see and perform in low lighting situations. Whether you are working with your DAW, VST instrument or effect, drum software, DJ app, MIDI synth, or analog gear, the BeatStep gives you the control you need. The BeatStep is ideal for both on stage and creating music in the studio. In sequencer mode the pads become each step in your sequence, whilst the encoders allow you to adjust pitch. The ultra-sensitive pads allow for dynamic performances, allowing you to play drums, and trigger sequences on-the-fly. Up to 16 sequence patterns can be saved and instantly recalled. The Arturia BeatStep can also be used as a general purpose control surface. The pads can be configured to be MIDI CC buttons, or can be assigned to send program and bank change messages, as well as note messages. Its compact, portable design makes it easily transportable, allowing you to take it from studio to stage effortlessly. 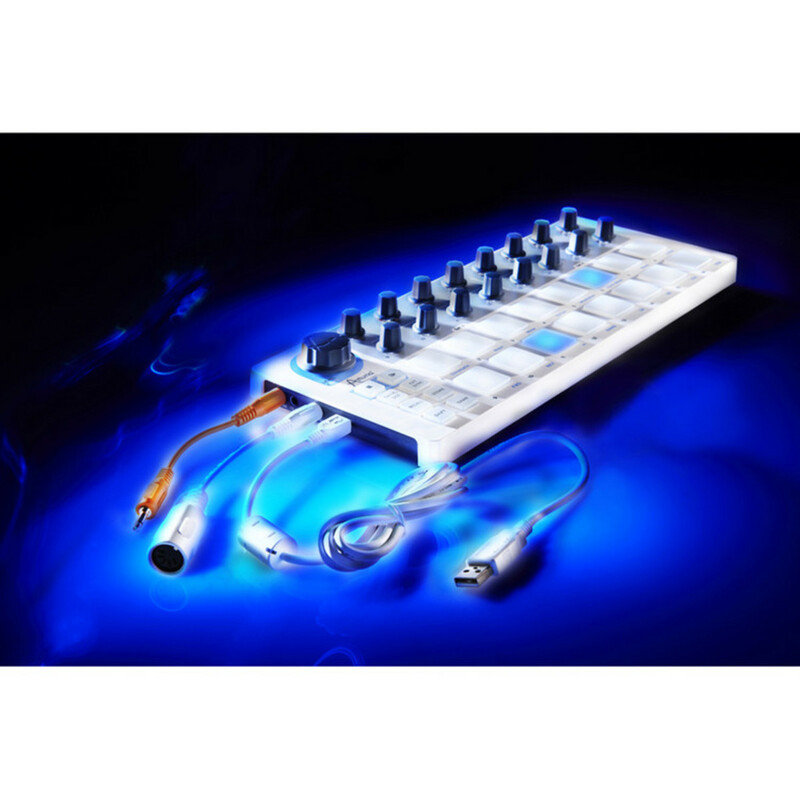 The Arturia BeatStep features a range of connectivity that allows it to easily integrate with external equipment. The USB connection allows you to connect to a computer or iPad, and run through software. Its MIDI port, allows you to connect and control a drum module, or other MIDI-compatible gear. Additionally, the BeatStep features CV/gate inputs, allowing you to connect it to analog synthesizers such as the MiniBrute and MicroBrute, providing you with a flexible, portable pad controller.